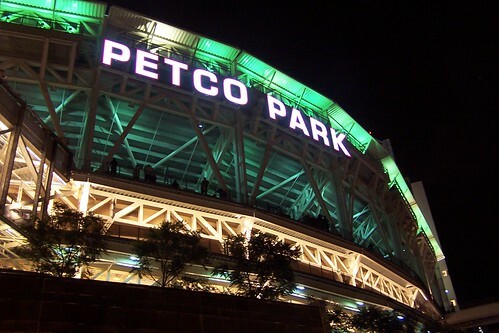 A six month long baseball season with 161 games played and it comes down to the final game for the Padres. They will go to a 1 game playoff for the division with a win. If they lose and the Braves lose than it’s a 1 game playoff for the wild card. This team has exceeded expectations all season so I’m a proud fan no matter what happens. Due to my dental problem I haven’t been able to finish my reader this week. (However, there is a pleasant side to pain medications!). Here are my favorite posts of those I did read. 1. An Indispensible Guide on How to Get the Best Price on Christmas Gift Cards. This post from Money Help for Christians is a must read if gift cards are on your holiday gift list. 2. 5 Things You Shouldn’t Be Buying in Bulk. Use this list from Money Crashers to make sure you don’t buy a large volume of these products with a short shelf life. 3. Yard Sale Tips: The Final Tactics to Purge Your Crap. Great tips from Man Vs. Debt on hosting a successful sale. 4. The Most Fiscally Irresponsible Song Lyrics. Although I had never heard of many of the artists it’s a good way to look at financial principles in this post from Richly Reasonable. 5. Coupons on a first date, yay or nay?. Well Heeled Blog is asking the question and my answer is…nay! 6. My First Car was a Heap of Junk How About Your’s?. Financial Samurai took me back to my little red tin can of a Datsun. 7. Want to buy that car? Don’t test-drive it. Funny About Money suggests a better way to try out a potential new car. I feel that the Giants are going to choke again today, then lose in SD to go 0-4 their last 4 games! ARGH! San Diegans are convinced our team will choke! We’ve been disappointed so many times over the years by the Chargers and the Padres that our expectations are low. San Diego is known to choke, but I have a feeling they will pull this off. I still can’t believe the 10-game losing streak. They had the seasnon all wraped up. Thanks for the link and good luck with the playoffs. Previous post: Today’s Program is Interrupted By….